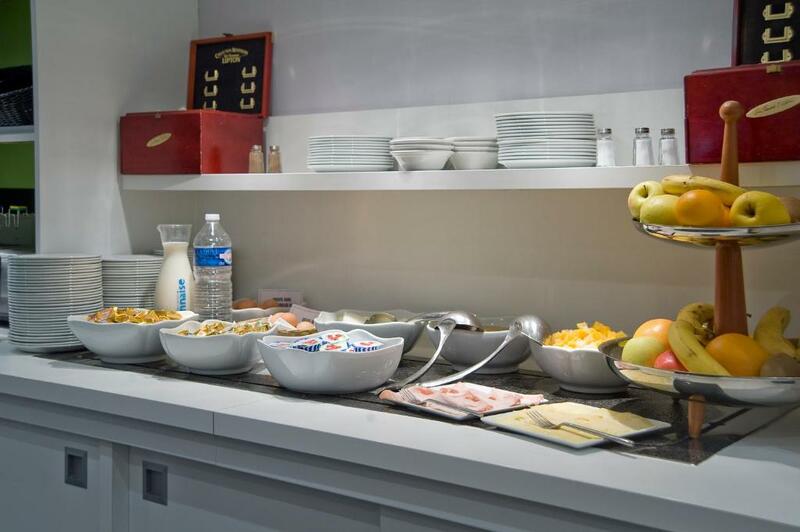 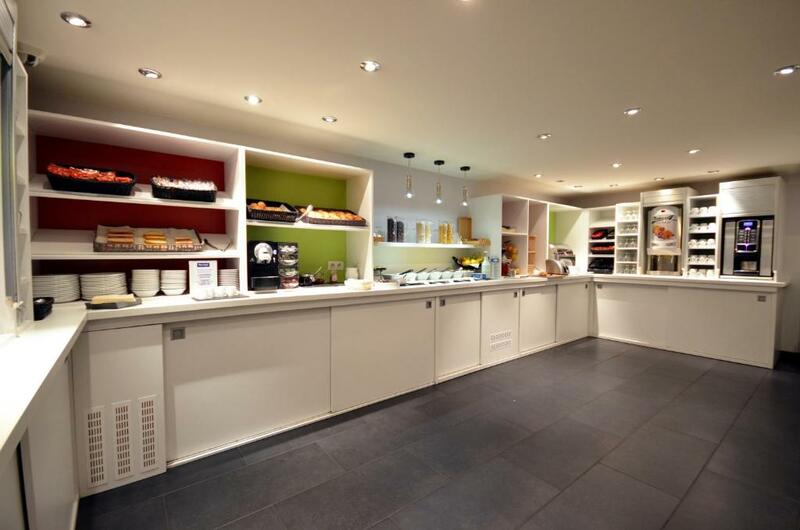 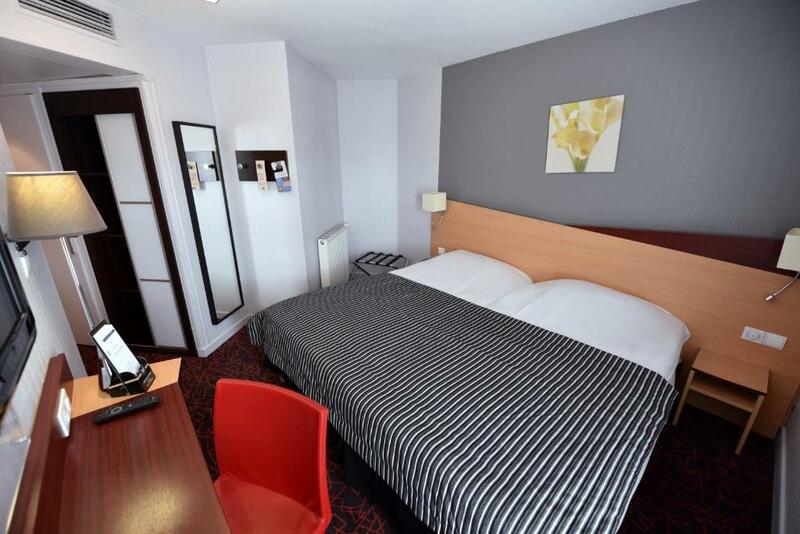 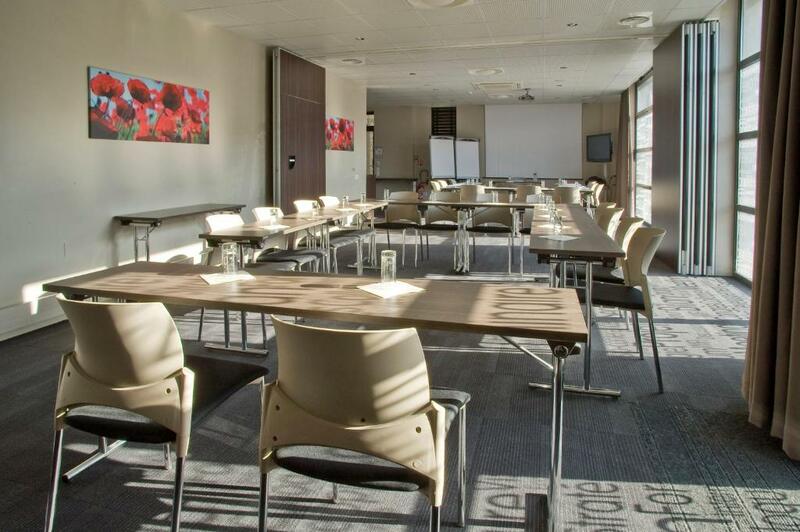 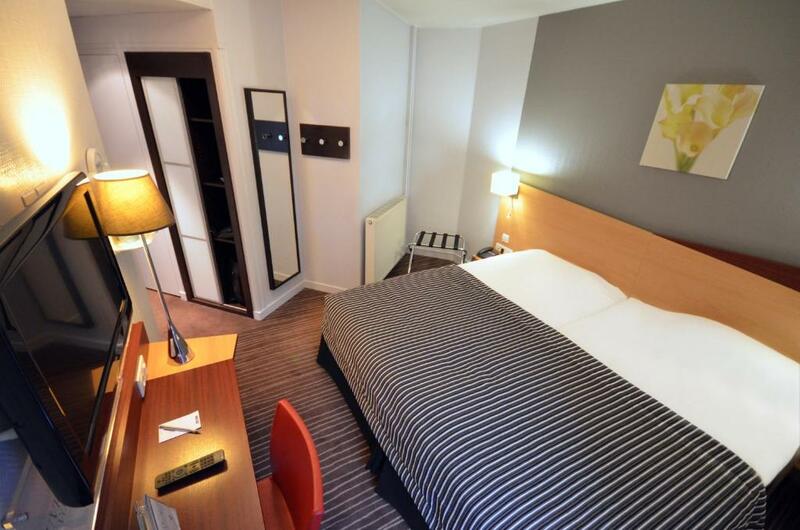 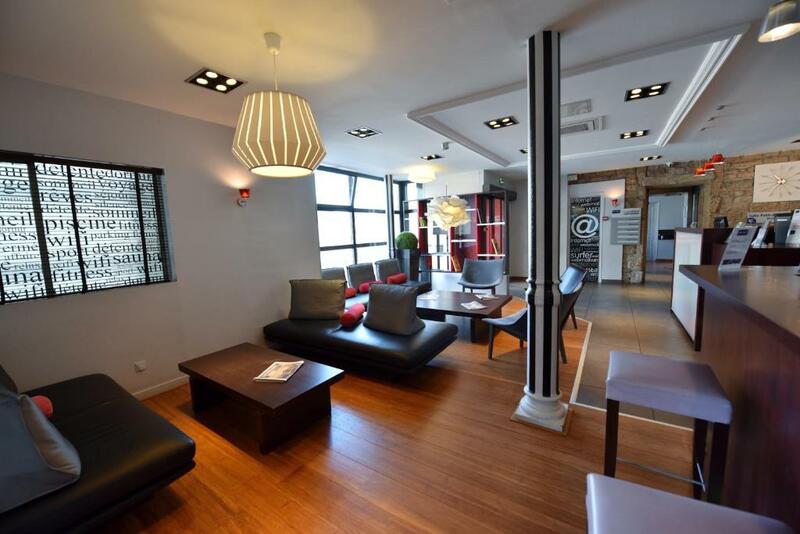 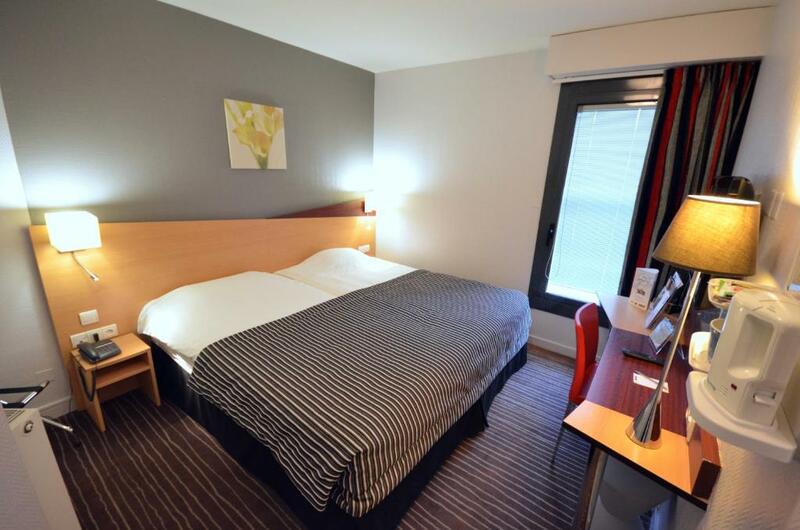 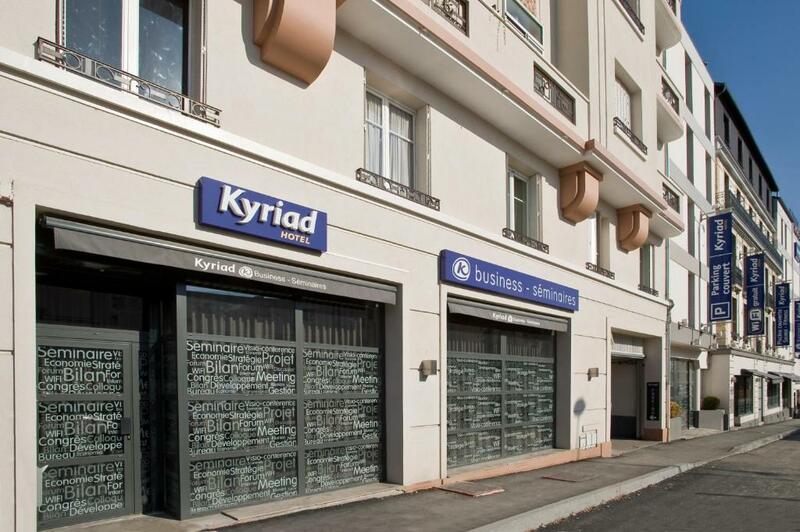 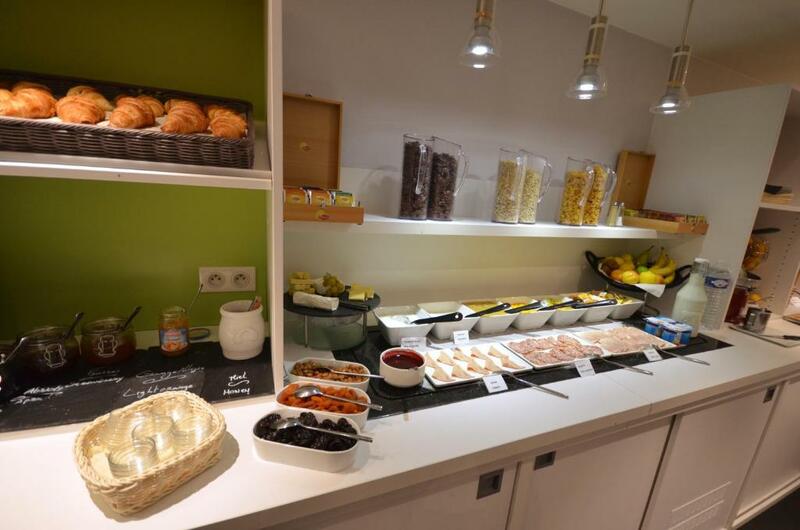 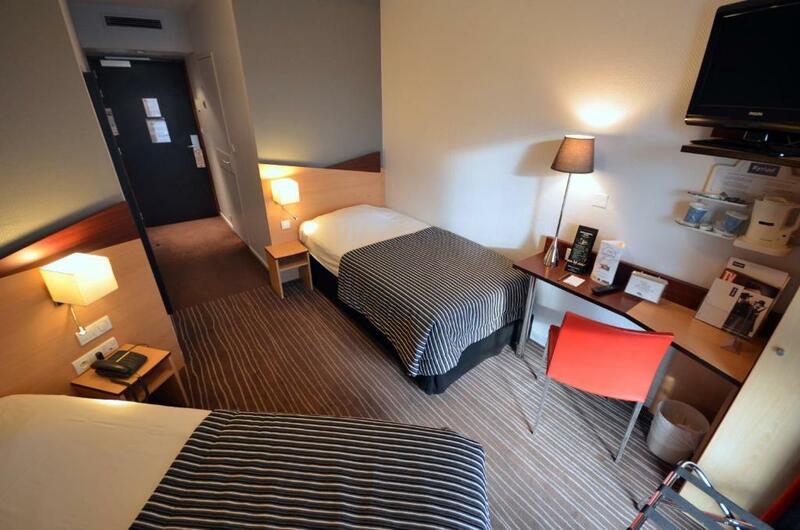 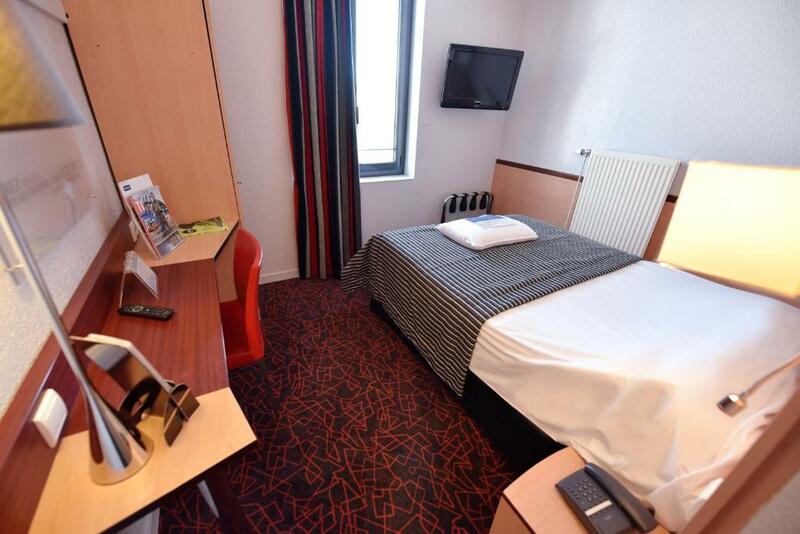 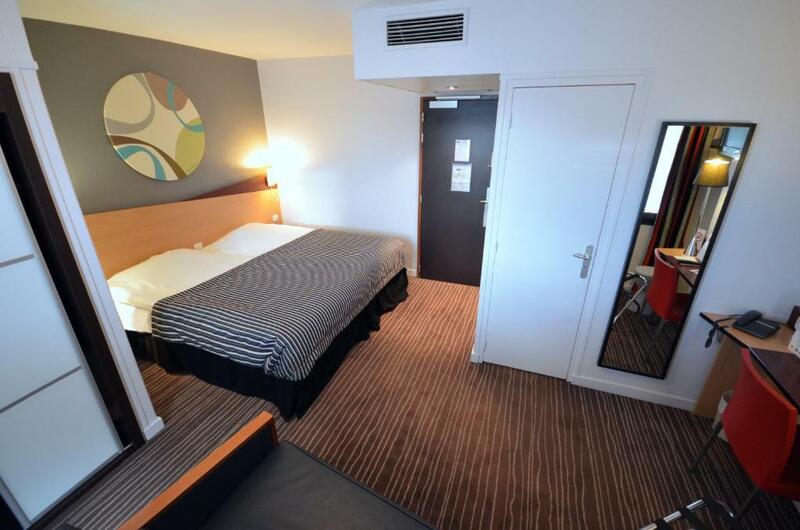 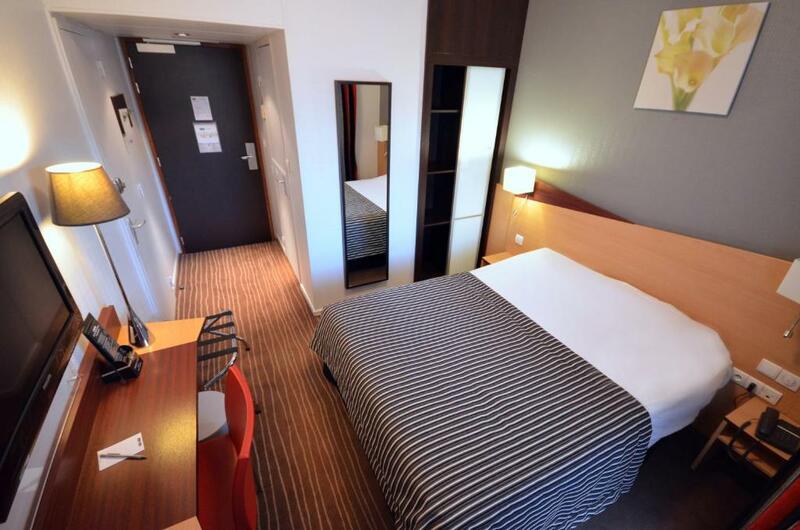 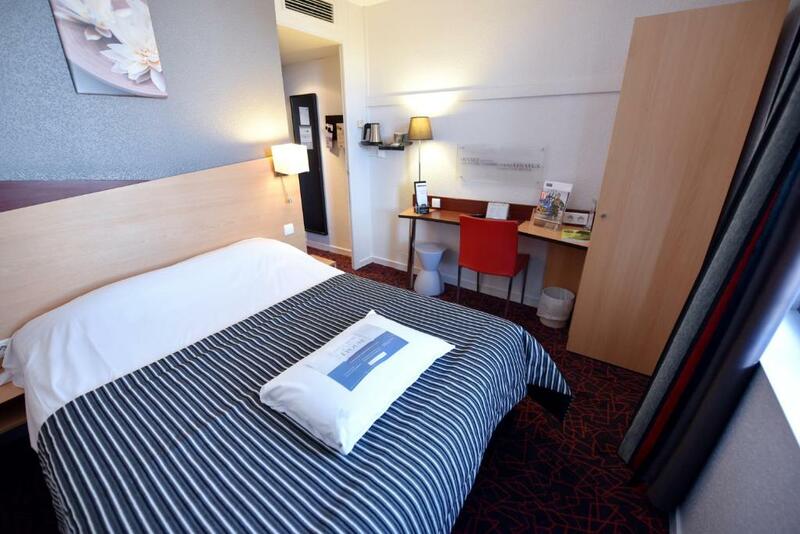 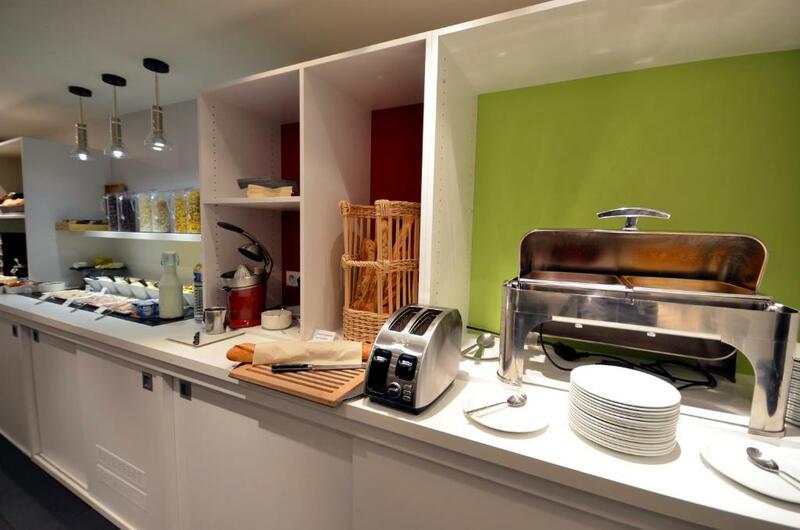 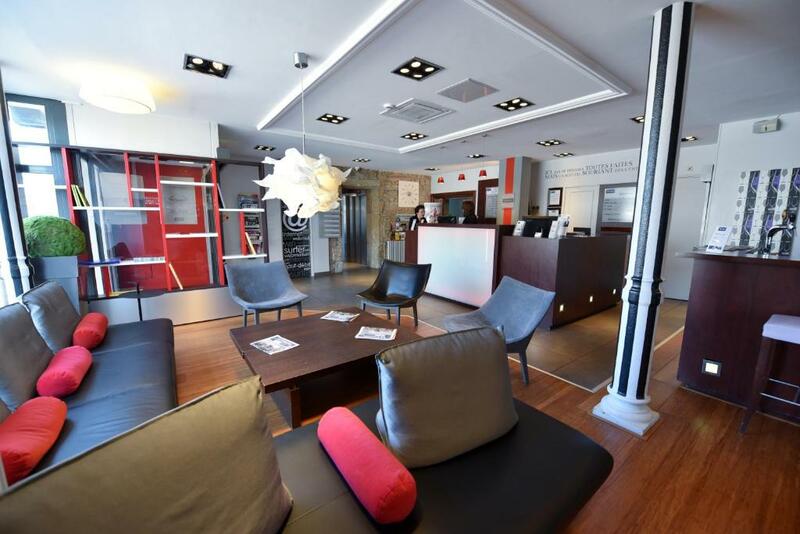 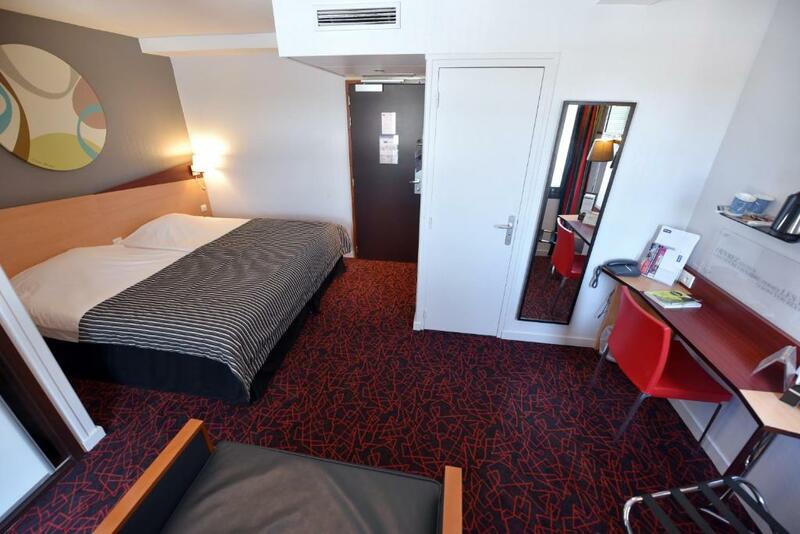 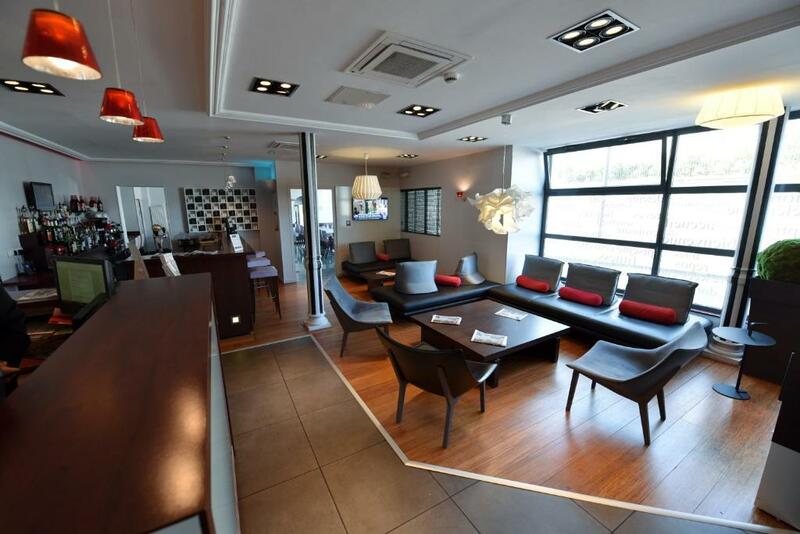 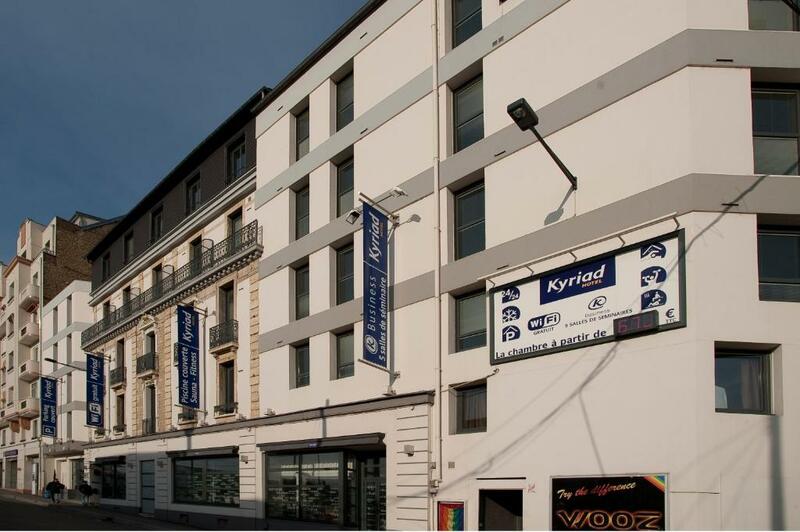 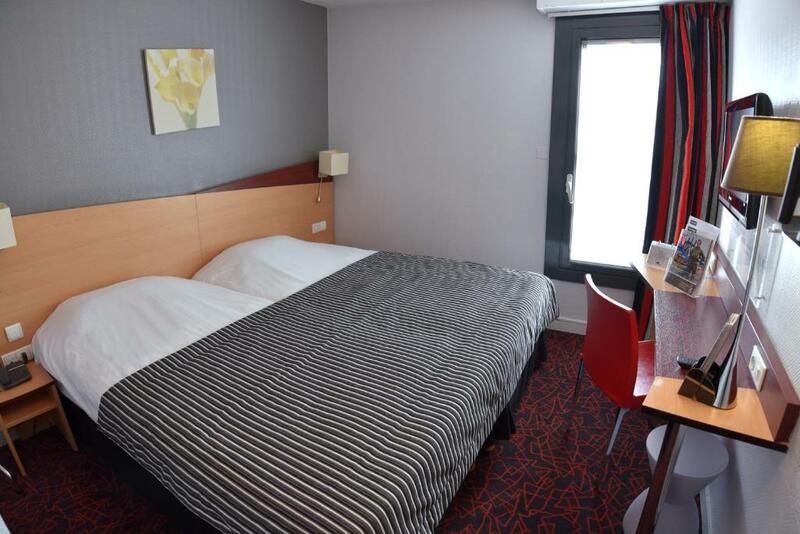 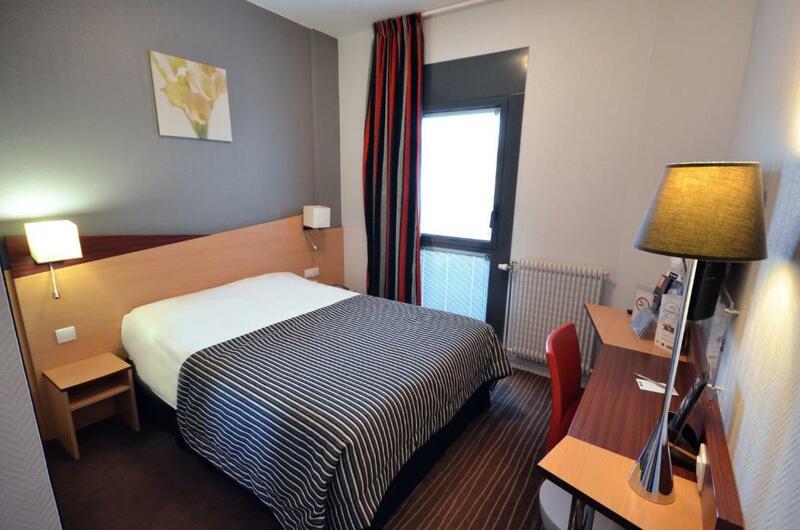 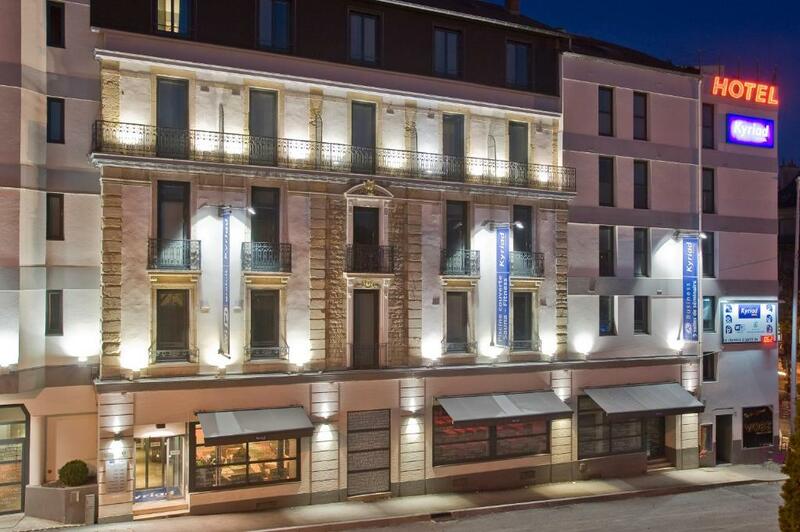 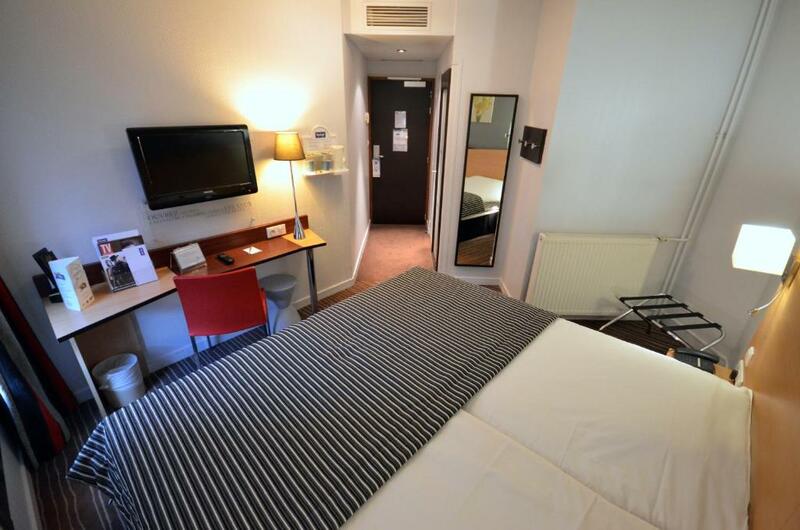 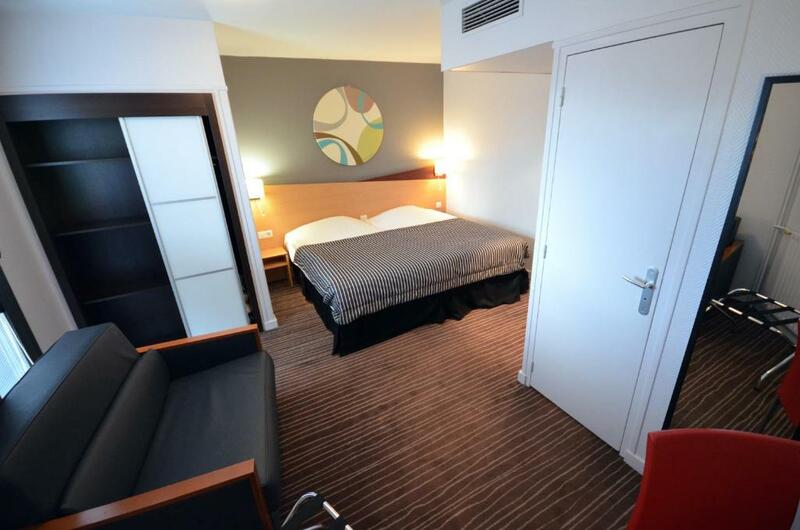 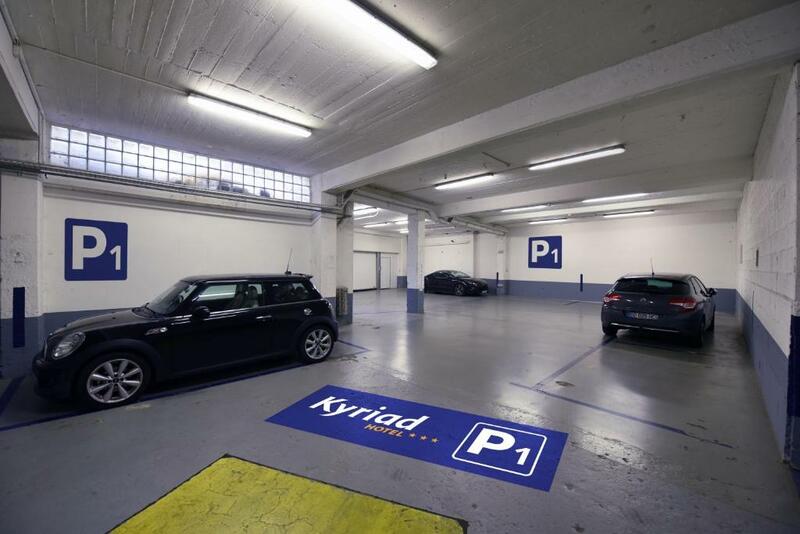 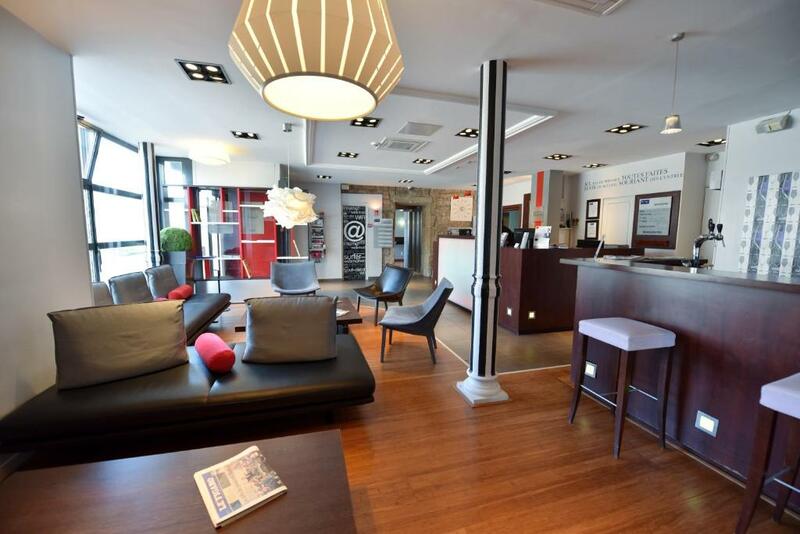 The Kyriad Hotel Dijon Gare is 120 metres from Dijon Train Station and offers an indoor swimming pool and soundproofed rooms with free Wi-Fi access. 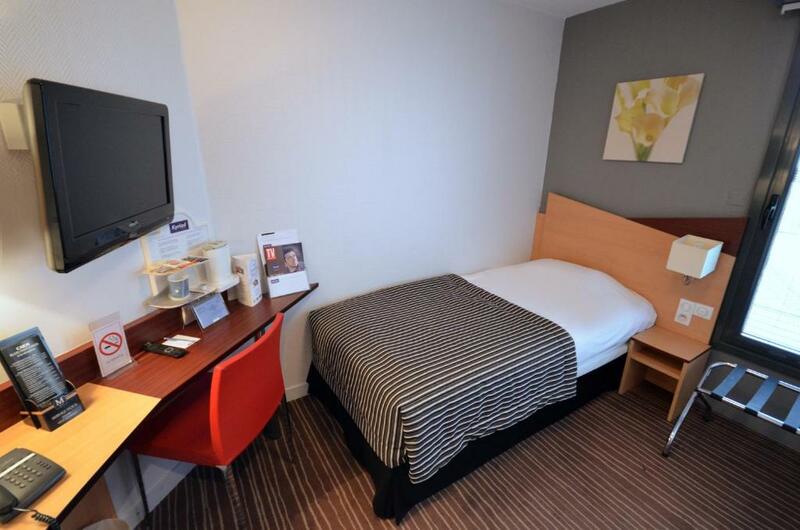 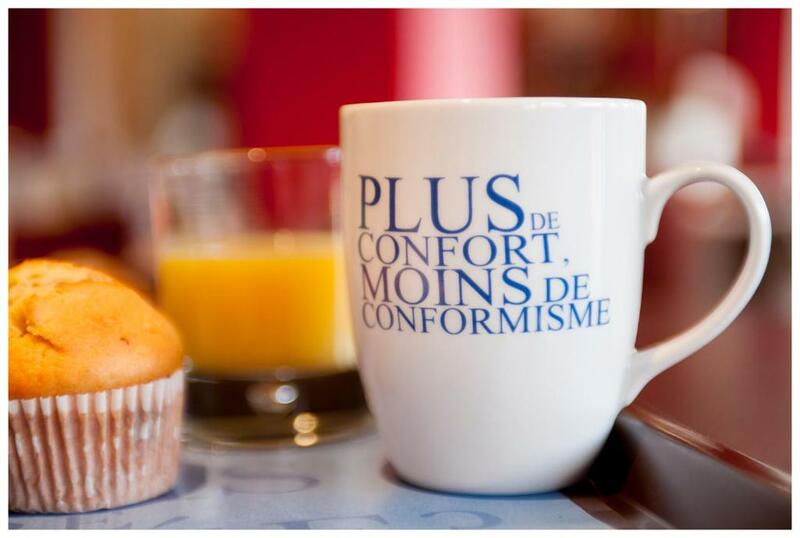 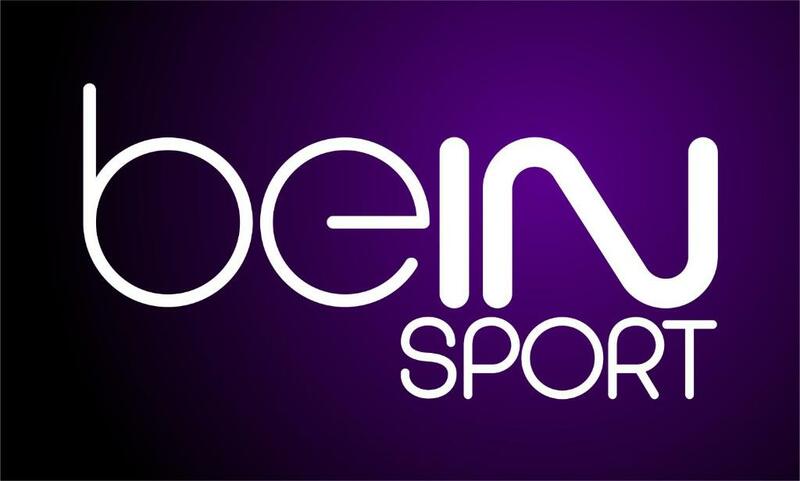 Each air-conditioned bedroom has a tea and coffee maker and satellite TV. 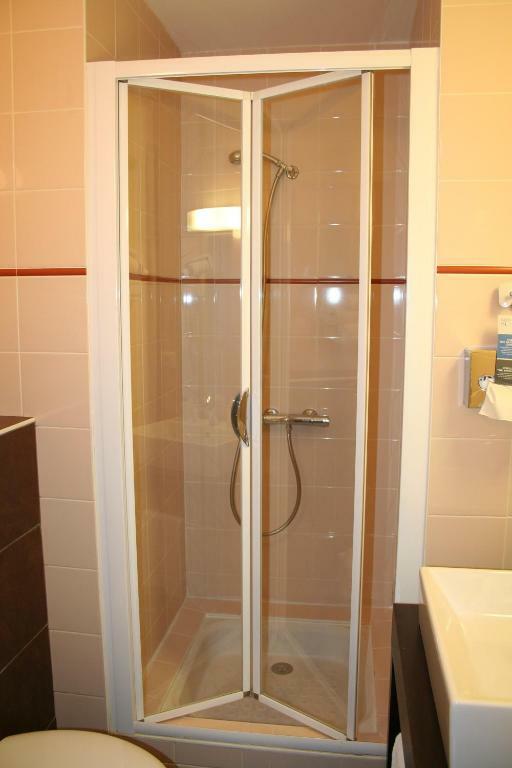 All the rooms have a private bathroom. 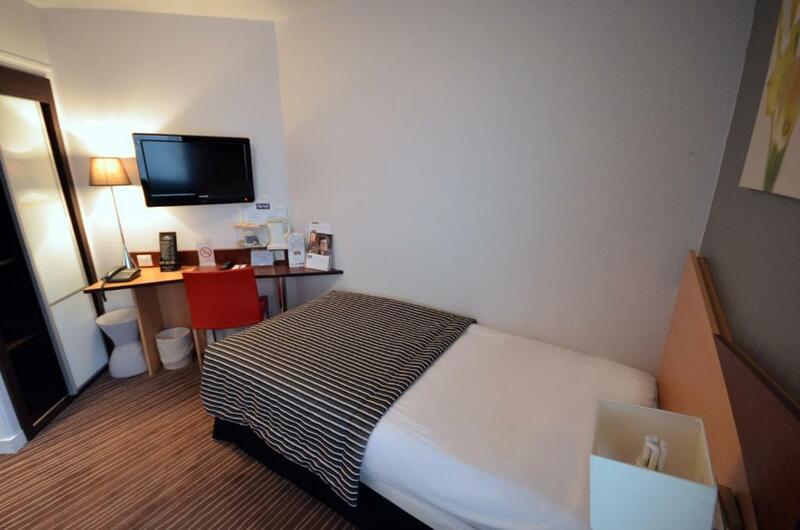 Extras include a fitness centre and a sauna upon reservation. 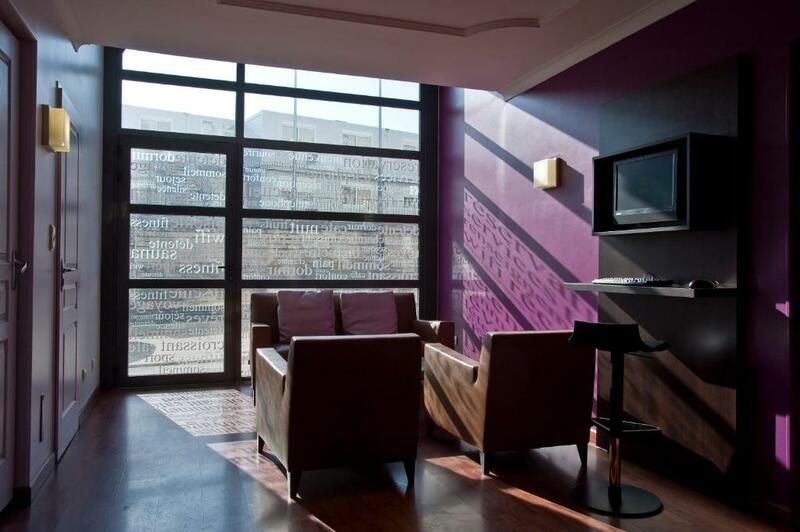 The hotel reception is open 24 hours, 7 days a week. 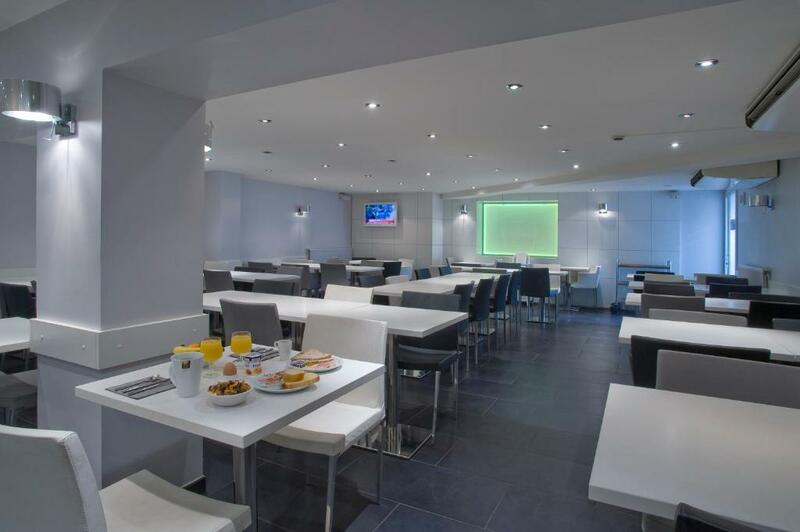 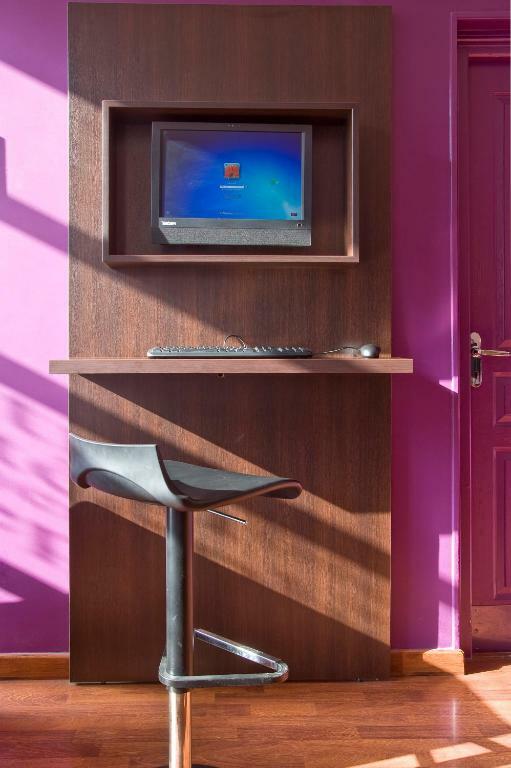 There are 2 TV lounges on the ground floor and a computer with internet access is available for guests' use. 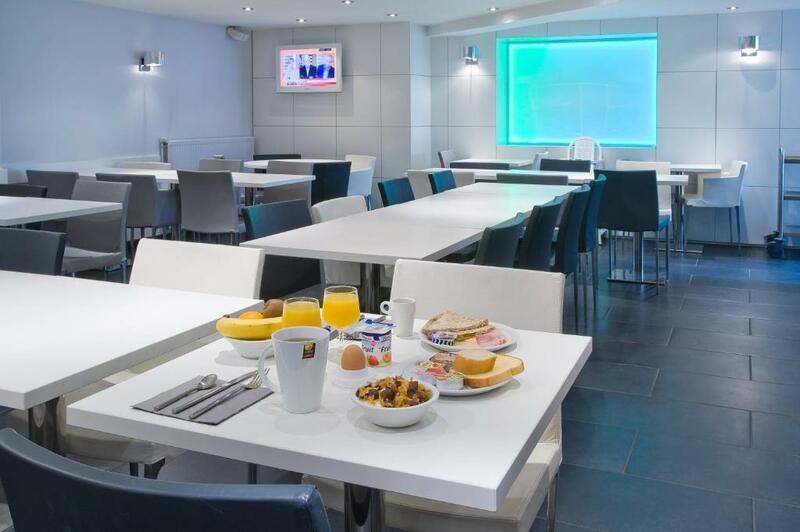 The hotel has a bar and large groups can be catered for on request, 24 hours a day. 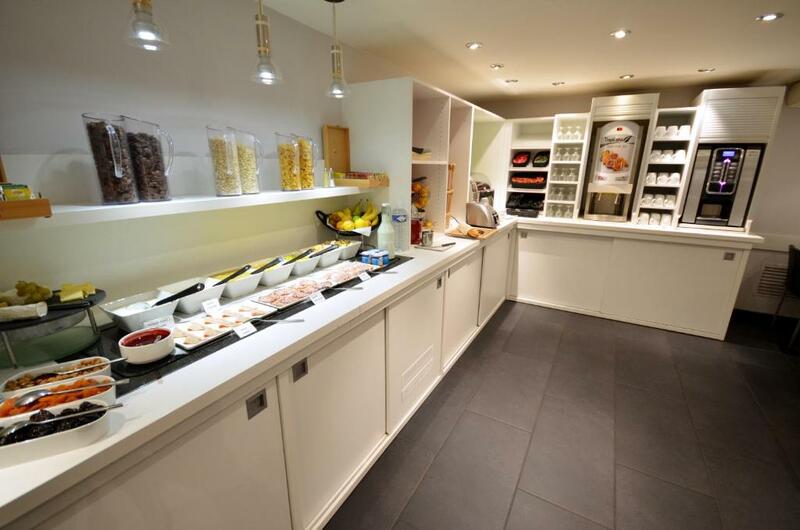 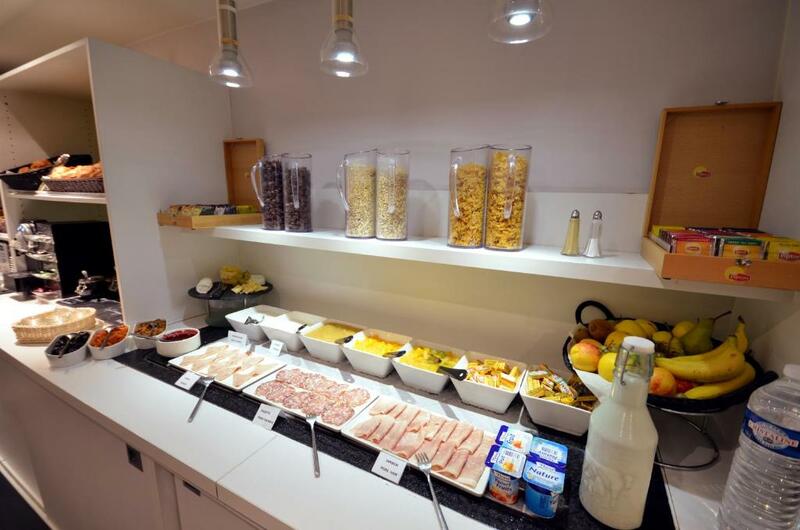 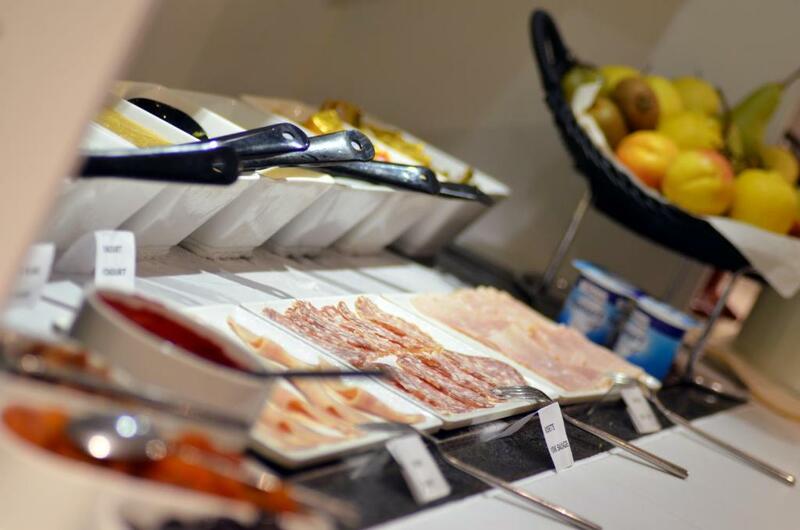 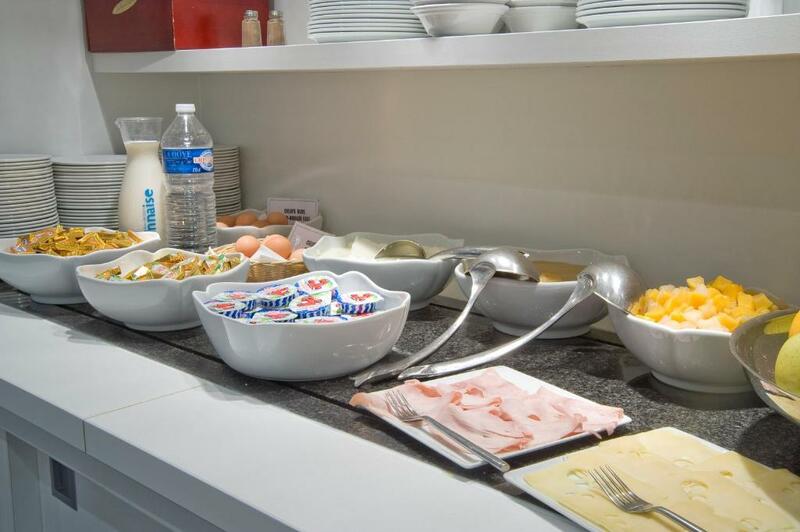 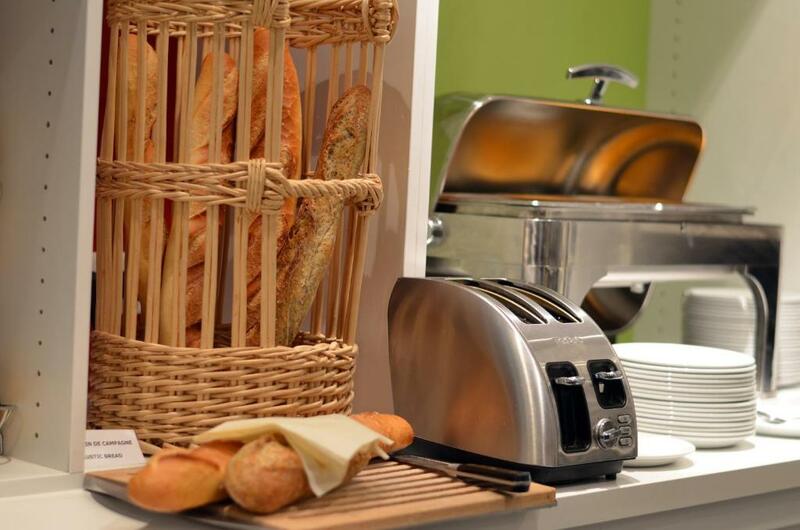 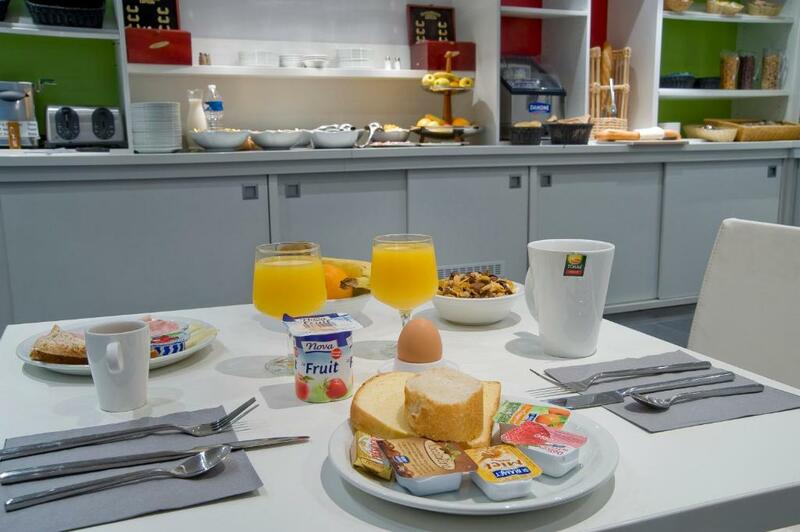 A hot buffet breakfast is available daily. 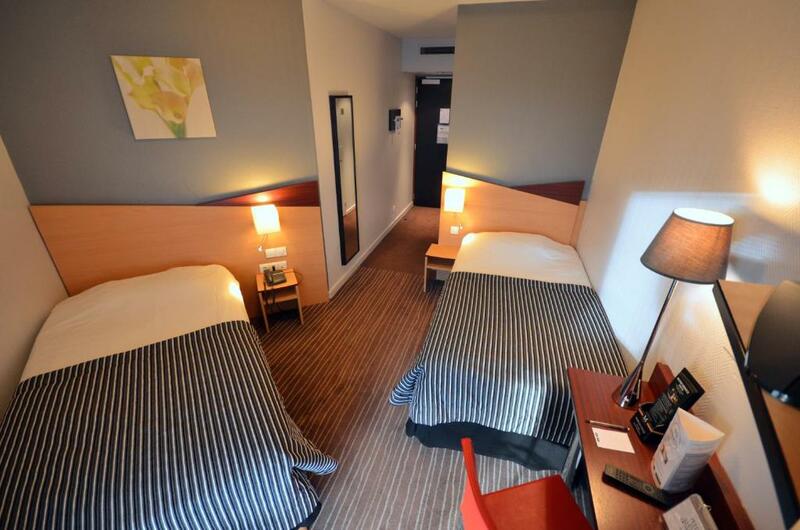 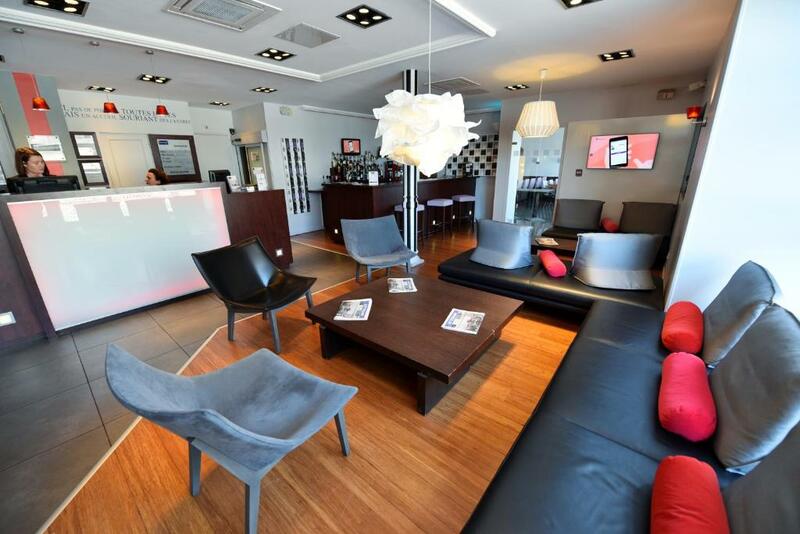 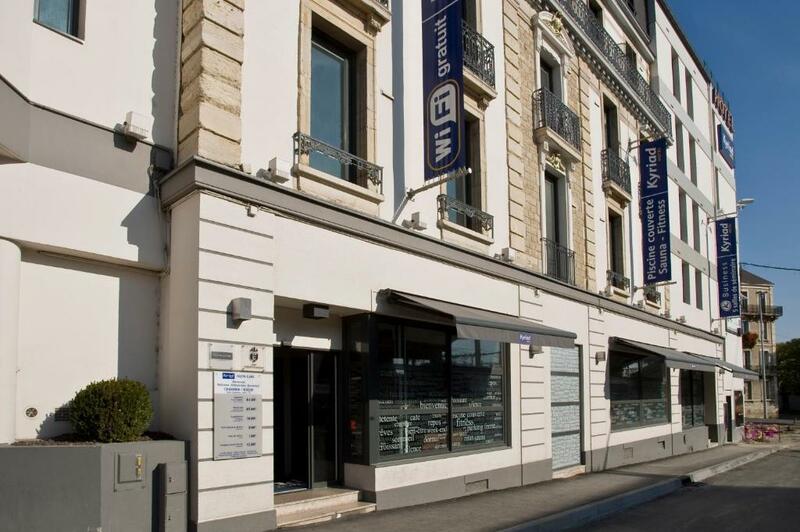 The hotel is 7 km from Dijon Bourgogne Airport. 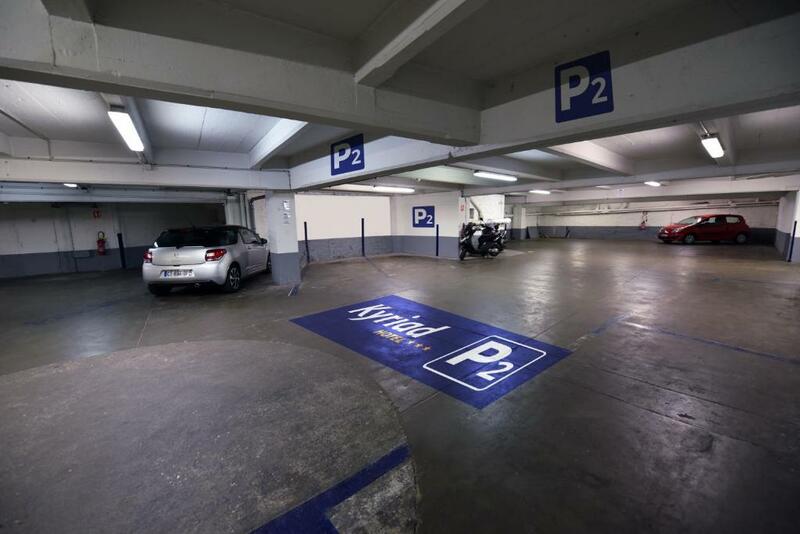 A close garage parking is available at an additional cost. 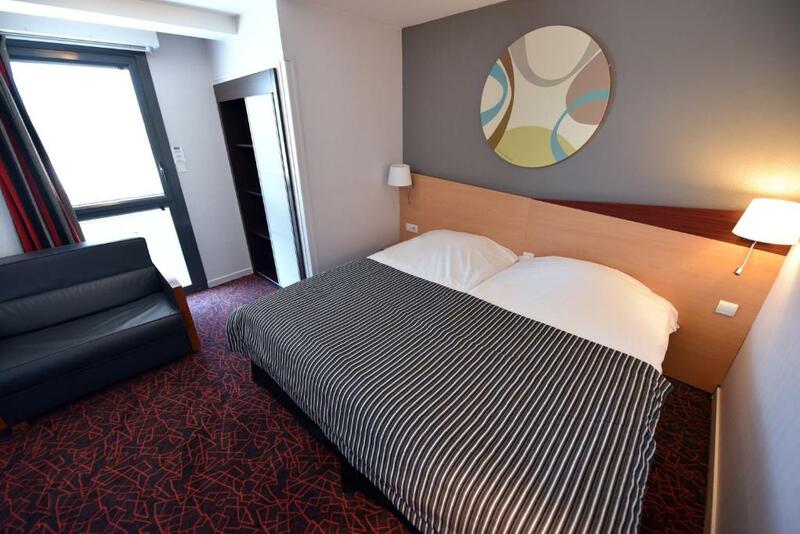 The Palais des Congrès is a 7-minute tram ride away and both the university campus and the Toison d'Or shopping centre are less than 20 minutes from the property.